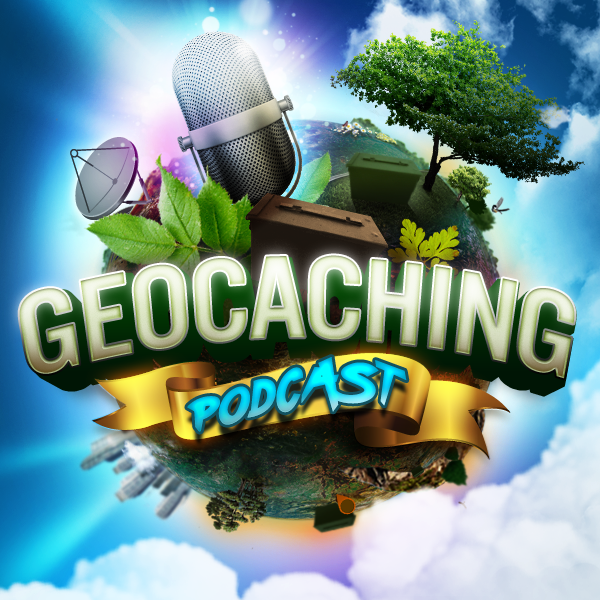 It’s our 500th episode and even though our reunion show will be in another month or two I thought it would be fun to go over the GCPC history plus there is a ton of geocaching content to go through as well. Plus we have an unexpected but very welcome Scott Berks stop in and add his thoughts and insights to the show. Enjoy. We would appreciate if you could take a moment to answer just a few questions about geocaching so we can better serve you. We promise it will only take a minute. First up, we’ve added DNF’s to the map! As a new feature to the Geocaching® app, we’re excited to see the caches we missed, so we can get back out there turn those frowns upside down. Once you find a cache you previously DNF’d, the yellow smiley will replace the DNF icon. DNF’s (Did Not Finds) will now have a separate icon making them easy to see on both the map and in Lists. DNF’s are not always fun to log, but we like to use them as motivation to try again! Plus, they’re helpful to both the community and cache owner. Oftentimes it’s the journey to ground zero that’s the adventure, so log your DNF’s with pride. Add a comment below and share your best DNF story with other geocachers! Next, we want you to know that we’ve been listening. After all, geocaching exists because of you, our community! That’s why we’re pleased to announce that you can now view Attributes in the app. A feature that many of you have been requesting! The cache details page will display up to 5 Attributes with the ability to view more on a separate screen. Additionally, when saving cache info for offline use, Attributes will be included. If you’re just joining the geocaching adventure, Attributes communicate what to expect at a cache location. For example, if a geocache requires tree climbing, you’ll see the tree icon. Attributes denote permissions, equipment required, hazards, terrain conditions, and more. Attributes are great for planning cache outings so that you can be prepared to earn that smiley! As with all of our releases, we also make other small improvements and fix bugs. The 5.4 update includes an improved process for saving offline lists, easy access to the Help Center from the app, and more. Head to the Geocaching Forums to read about these updates. We’d love to hear what you’re most excited about from the 5.4 release. Tell us in the comments below! In response to the discussion about souvenirs in episode 499, I think that Munzee and other location based games may be generating peer pressure on Geocaching.com to create souvenirs. A Munzee profile has both souvenirs and specials, plus new specials and/or souvenirs come up every few months, if not more frequently. Pokemon Go profiles seems to contain a player’s collection of creatures and objects, while an Ingress profile contains statistics and medals. People seem to like rewards, even if they only exist in an online profile. Even though you said in the last episode that you’ll move the celebrations for #500 for a few weeks, I still want to send you a congratulations-mail. I think that’s a huge achievement. I didn’t listen to you all the way back in 2007 – hell, I didn’t even know Geocaching exists back then. I started listening at some point in the spring of last year, so I’m still kind of a new listener. Nevertheless, I always enjoy to get your perspectives on Geocaching, especially since I usually only get the perspective of my home country Germany. I was listening to episode 499 of GCPC this morning on my way to work. You mentioned that International Geocaching Day and International Earthcache day had been hit and miss over the last few years. To that I say “kinda”. International Geocaching Day has been the third Saturday in August every year since 2011. I earned this one in 2013, 2014, 2015, and 2016. I’m expecting to earn it again this year at the Going APE event which is that day. That should be a 3-souvenir day for me – Going APE mega souvenir, APE cache souvenir, and International Geocaching day souvenir. In 2013, it was a shared Souvenir with the 17th day of the 31 Days of Geocaching. International Earthcache Day has been the second Sunday in October in 2012, 2014, 2015 and 2016. They only missed 2013. We Canadians take issue with this one because it falls on Thanksgiving Sunday up here which is usually a day to spend with family and have Thanksgiving dinner. Mmmmmm turkey! I’m expecting both to repeat this year. Thanks for correcting my recollection. I think I missed a couple because I wasn’t made aware of them.